An article about the best backyard trampoline? Aren’t all trampolines meant for the backyard? While it’s true that most trampolines are meant for the backyard, small indoor trampolines have risen significantly in popularity over the past decade. 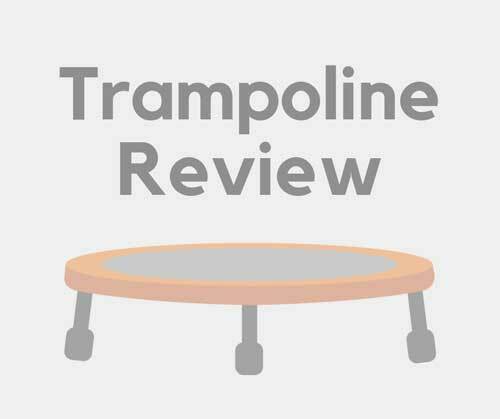 When breaking down each type of trampoline, we felt it was fair to give them their separate blog post. Our main article (click here to read it) talks about the best trampolines without drawing the indoor and outdoor line. After reading this article, you will feel confident about your backyard trampoline purchase. When you consider every aspect, that goes into rating a backyard trampoline (also covered on our main trampoline post), the Skywalker 15′ round trampoline is the clear cut winner. And to be blunt, there’s not even a close second (unless you’re okay with spending around $2,000). The best part is that the Skywalker brand offers more than just the 15′ round version. Want a smaller backyard trampoline? Not problem as Skywalker has an 8 foot round diameter product. The Skywalker Trampolines provide great bounce, which will keep the kids smiling for years. Their trampolines are built with high-quality galvanized anti-rust steel. There’s no such thing as a perfect backyard trampoline, and the Skywalker isn’t immune to this fact. While many users talk about the ease of setup, some reviewers feel that the setup instructions are confusing. Instructions can be confusing (have you ever tried putting together something from IKEA? ), but it’s a small inconvenience you may encounter with your purchase. If you go with the Skywalker trampoline, you have made the decision to buy the best backyard trampoline that money can buy. Not to mention, almost all trampoline products have negative reviews about their instructions. The truth is that some people are more patient when it comes to building things. Your backyard trampoline purchase should follow the same basic criteria you would use to buy any style of trampoline. 1 – What is my year round weather like? While most regions on the planet receive rain at some points in the year, some climates are harsher than others. Folks living in California have a light winter when compared to people living in Michigan. Do you possess handyman skills? If so, you will have a wider selection of trampolines you can buy. That’s because you will be able to deconstruct your trampoline when winter strikes. I’m terrible with tools and do not possess the patience to take down a trampoline; I would need to buy a backyard trampoline that was built with high-quality materials and cover it each winter. Note: some trampolines come standard with a plastic tarp to cover it. If it doesn’t, we highly recommend you invest in one. Your trampoline will last longer, and that means more smiles from your kids. 2 – How big is your backyard? Is there anything that would obstruct a jumper? This question is simple but crucial for your backyard trampoline purchase. Not only should you consider the size of your backyard, but think about anything that would obstruct the jumping experience. If your backyard is slanted, then adding a trampoline will be a risky investment. A slanted backyard increases the chance of injury as the jumper is more likely to fall off. Also, do you have any electrical power lines that might be hit while jumping? If they were to fall off the side of the trampoline is there anything close they could hit? For example, putting a trampoline next to a pool or shed would be a poor choice. 3 – How old and how many kids do you have (prospective neighborhood jumpers also count)? The age our your kids is hugely important when you are deciding which trampoline to purchase. One size too small, and your kids will outgrow it in the speed of light. That’s why erring on the bigger side is always better, but as you probably know, bigger backyard trampolines are more expensive. Most backyard trampolines start around 8 feet in diameter. The largest trampoline we found has a diameter of 17 feet (it’s oval-shaped). If your kids are younger, and you’re okay with a shorter investment, then go ahead and buy the something in the 8 to 12 foot range. Just make sure you understand they will outgrow it by the time they are around ten years old. Granted, the number of kids also factors into the decision as well. If your kids are young, and you think they’ll be jumping their teenage years, then go ahead and go for something bigger than 14 feet. The backyard trampoline will still be awesome, even if they are a little small for it. Also, it allows you to invite the neighbor kids over for group jumping sessions. But as always, make sure there is always a parent supervising to help prevent injuries, especially if you think they will start trying trampoline tricks. Backyard trampolines get abused by the sun’s UV rays. Most modern backyard trampolines come equipped with a jumping pad that protects against UV wear and tear. One of the fastest ways to lose a trampoline is to have the jumping pad wear out. Note: most trampoline brands do offer backup jumping pads if yours happens rip or tear. The quality of the frame and its welding is an immensely important factor for a backyard trampoline. The best backyard trampolines will use high-quality galvanized anti-rust steel for the frame. In addition to the frame’s metal, it’s important that the welding is done right. If the welding is poorly done, it doesn’t stand a chance for the long haul. It will eventually break down and could potentially cause an injury if it collapses during a jumping session. Also, some folks love the SpringFree style of trampolines. We have friends that absolutely swear by them, but they are a little of our price range.